Kosho Uchiyama expands and explains his teacher's wisdom with his commentary. Trained in Western philosophy, he draws parallels between Zen teachings and the Bible, Descartes, and Pascal. Shohaku Okumura has also added his own commentary, grounding his teachers' power and sagacity for the contemporary, Western practitioner. Kosho Uchiyama was born in Tokyo in 1912. He received a master's degree in Western philosophy at Waseda University in 1937 and became a Zen priest three years later under Kodo Sawaki Roshi. Upon Sawaki's death in 1965, he became abbot of Antaiji, a temple and monastery then located on the outskirts of Kyoto. Uchiyama Roshi developed the practice at Antaiji and traveled extensively throughout Japan, lecturing and leading sesshins. He retired from Antaiji in 1975 and lived with his wife at Noke-in, a small temple outside Kyoto, where he continued to write, publish, and meet with the many people who found their way to his door, until his death in 1999. He wrote over twenty books on Zen, including translations of Dogen Zenji in modern Japanese with commentaries, as are various shorter essays. His Opening the Hand of Thought: Foundations of Zen Buddhist Practice is available in English from Wisdom Publications. He was an origami master as well as a Zen master and published several books on origami. "Sawaki Roshi's profound and simple Dharma expression comes from the depth of his empty, open heart, like the light of the sun or the flow of a river, pure and unhindered, touching and awakening that same place in ourselves." "Provides pure, rich examples of living the Buddha Way by three renowned contemporary Zen practitioners. Filled with glimpses into their daily lives, it is replete with teachings that directly point to letting go of confusion and wholeheartedly living our actual lives." "Clear and conversational. The variety among the three voices encourages the emergence of a fourth: yours, as you browse and come back again and again." "A wonderful opportunity to catch a glimpse of a vibrant lineage in action and an invaluable contribution to all schools of meditative living." 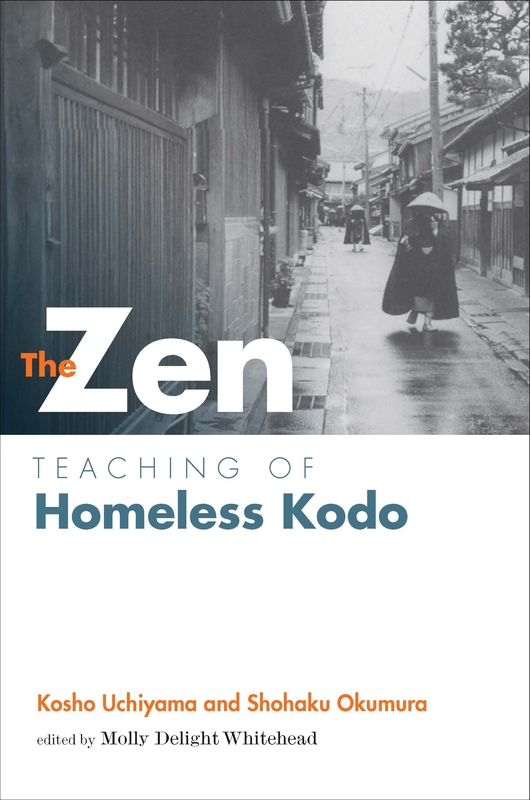 "Kodo Sawaki was straight-to-the-point, irreverent, and deeply insightful—and one of the most influential Zen teachers for us in the West. Until now it has been very hard to find any of his writings in English. I'm very happy to see this book." "Studying this book is a rare chance to sit with three Zen masters as they bring forth the Dharma with their unique family style—compassionate, blunt, humorous, wholehearted—each one devotedly helping the other and helping us to wake up." "Shohaku Okumura is a true treasure for contemporary American Zen, humbly but clearly expressing this noble legacy."